Secretary-General Ban Ki Moon visits the birthplace of UN Charter. UN Photo/Mark Garten, 26 July 2007. UN 71st anniversary celebration, October 24 2016. Photo by Alex Church. San Francisco War Memorial Veteran’s Building, host of many UNA-SF events. Puliatti Photo © 2018. Members of SFSU JROTC Color Guard, UN 71st Anniversary Celebration, Fort Mason. Photo by Roger Jones, Video Free America. Current and Past UNA-SF Presidents receive certificate of commendation from David Chiu, California State Assembly at UN 71st Anniversary Celebration, Fort Mason SF. Photo by Alex Church. Secretariat Building at United Nations Headquarters. UN Photo/Rick Bajornas, 23 February 2017. Far West Intergenerational Model UN (IGMUN) Conference, 2018: The Power Of The Powerless: Strengthening Vulnerable Populations. Photo by Antonia Lavine, Coordinator, San Francisco Collaborative Against Human Trafficking. Today the United Nations Association of the USA, San Francisco Chapter (UNA-SF) is a leading movement supporting the mission of the United Nations and provides a platform for partners to achieve the UN Sustainable Development Goals by 2030. Partnerships include the U.S. State Department, Consular Corps, Nongovernmental Organizations, Non-Profit Organizations, and Social Entrepreneurs. The United Nations Environment Programme (UNEP), United Nations Children’s Fund (UNICEF), and United Nations High Commission on Refugees (UNHCR) are frequently supported to assist the world's 67+ million refugees. The focus is bringing women to the negotiating tables for peacemaking and protecting the Universal Rights of Children. Newsworthy events have been produced for United Nations Day, UN Charter Day, World Environment Day, International Women’s Day, Refugees Day, Humanitarian Day, Human Rights Day, International Jazz Day, and Children’s Day. The events have taken place at the San Francisco War Memorial Veterans Building, Fort Mason, Marina Green, Grace Cathedral, Fairmont Hotel, the University of San Francisco, San Francisco State University, and the Mechanic's Institute. 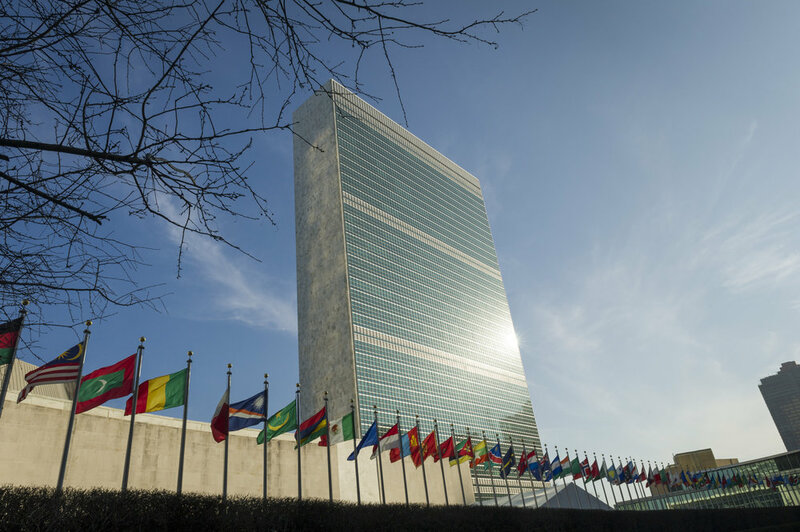 Each venue has an historical role in framing global issues that intersect UN Member Nations with the United Nations.